This guide will help players line their wallets with more PokeCoins in Pokemon GO. PokeCoins can be earned by performing certain tasks, or purchased with actual money through microtransactions. Check out our Pokemon GO hub for more guides and tips that'll help you level up faster, earn more Candy, get more Stardust, and lots more! The Pokemon GO grind is well underway in most regions around the world. If you’re one of the many trainers going out on daily excursions for new ‘mons, you’re likely going to need a steady supply of Pokecoins to restock your inventory with important items, such as Pokeballs, Incense, Lucky Eggs, and many other items. Pokecoins are the in-game currency in Pokemon Go. Pokecoins can be accumulated by completing certain activities or by purchasing them with real-world money. This guide will explain several ways to get more Pokécoins without having to spend any actual cash. Once your Trainer Level reaches level 5, you will be asked to choose a Gym Team of a particular color. After joining a team, you then have the ability to join either an unclaimed Gym, or a Gym of the same team color. 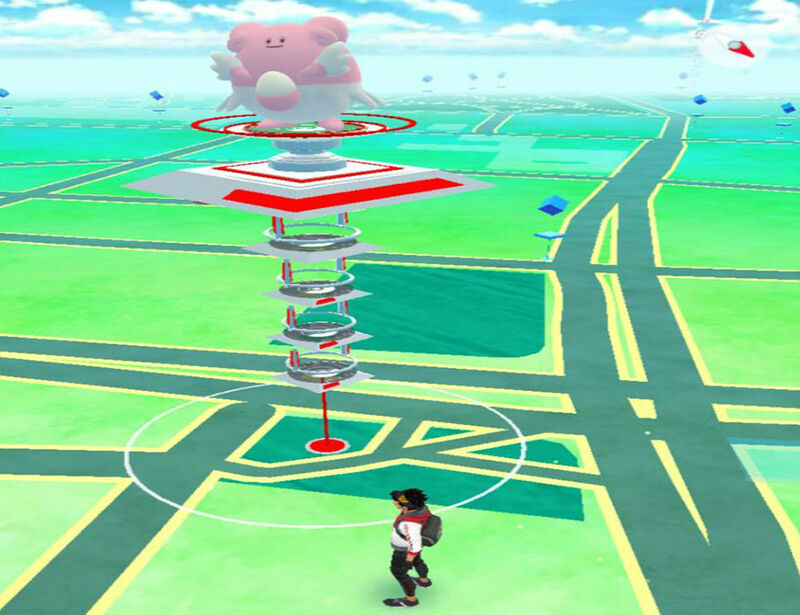 Place one of your Pokemon in an available Gym to defend it for your team. In the upper right corner of the Shop page, you'll find a Shield icon. The number on the Shield indicates how many Pokémon are defending a Gym. As long as you have a Pokemon stationed at a Gym, you’ll receive a Defender Bonus that rewards you with 1 free Pokecoin every hour or so. Click on the Shield in the Shop to retrieve your daily defender bonus. There is a 50 PokeCoin limit to how much you can earn every day through gyms and all pokemon. If a Gym is already occupied by an opposing team, you will need to battle and defeat each of its members in order to claim the Gym and take it over. Each claimed Gym has a certain prestige level, based on the number of trainers in the Gym. This indicates how many trainers you need to beat before taking over that Gym. Upon taking over a Gym, place one of your stronger Pokémon in the gym to defend it for as long as possible. You’ll accumulate Defender Bonus Pokécoins for having your Pokémon stationed at the Gym. Coordinate with your friends and have them join the Gym to increase the Gym’s prestige and improve your chances of defending it. If you need items and don’t want to wait around to earn the necessary Pokécoins, you can swing by a few PokéStops and collect some free items instead. PokéStops are basically miniature social hubs where you can collect various in-game items and use Lures to attract Pokémon (and usually other nearby trainers). PokéStops appear as blue squares on the map. Once you’re at the stop, spin the icon at the stop to gather items for your inventory. The PokéStop will refresh after five minutes, allowing you to repeat the process again and obtain more items. After visiting several PokéStops, you may end up acquiring the items you intended to purchase with Pokécoins anyway. If you want to increase your chances of finding rare Pokémon, you must first increase your Trainer Level. While this tip isn’t strictly about earning more Pokécoins, it does effect how many you spend and potentially save. Spending fewer coins means more coins to use later on! There have now been many events where Niantic has reduced the prices of items in the in-game store temporarily, so if you want something in particular and you don’t need it in a hurry, it’s definitely worth waiting a little while longer. During the Christmas event, Niantic offered exclusive packages of various items at a reduced price. Hold onto your coins as long as you can, and make use of the in-store savings wherever possible! Now that you have an idea of how to earn more PokéCoins, why not learn how to catch Ditto or how to evolve Eevee.